Contest! Enter to Win a Spooky Bundle of Books! Happy almost Halloween everybody! This week we’re trading in our tales of lust and love for some dark and creepy reads that give us a different kind of goosebumps at night (wink, wink). In celebration of the wicked holiday we want to give you the chance to win a bundle of our favorite spooky books that are sure to keep you up at night! Want more Halloween? Check out what scares thriller and suspense author Jennifer Hillier the most! For official rules and terms & conditions, click here. Filled with characters as menacing as they are memorable, this chilling twist on vampire fiction packs a punch in the bestselling tradition of Salem's Lot by Stephen King. I love the idea of this book, since I'm a sucker for virus thrillers AND underwater disaster...but I'm almost too scared to read it! Definitely interested in The Humbug Murders. I’ve heard good things. I want to read all these! So far The House by Christina Lauren is my favourite scary book. I love a good psychological thriller so SWERVE by Vicki Pettersson would be my top choice from this bundle. I want to read The Single Undead Moms Club. I would read Single Undead Mom’s Club first and Swerve second 🙂 I love these choices because my husband would also read them. 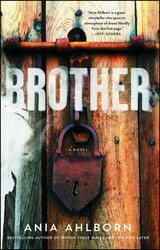 I want to read BROTHER. I love Vicki Petterson, so I’m excited for Swerve! 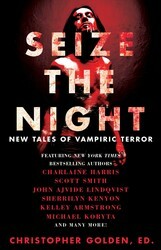 Definitely Seize the Night, what an amazing list of authors and collection of vampire stories!! Seize the Night. Just can’t get over that vampire craze. 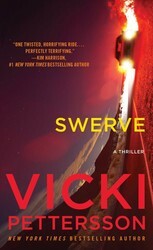 I would love to win I adore Vicki Pettersson, I’ve been wanting to read swerve! I’d love to read any of these actually. Lots of new-to-me authors and a chance to return to my horror genre “roots” in reading. My first “grown-up” book was Carrie, at age 10, and I continued reading horror until about 4 years ago, when I discovered romance! Great selection of books! I’m a big fan of Vicki Pettersson and Molly Harper, plus a lot of the authors in Seize the Night. I’m not familiar with a couple of the authors, but their books look great! 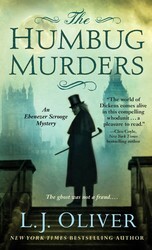 I want to read The Humbug Murders. I’ve heard good things. I want to read The Single Undead Moms Club. Love me some vampires! Others look good too! I love Molly Harper and I have not read The Single Undead Moms Club. All of them, of course!! The Humbug Murders sounds really really good. I like retellings of well known stories. I’m most interested in The Single Undead Mom’s Club. The Deep looks really scary! 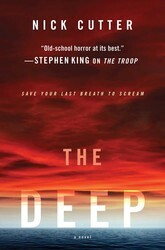 Don’t do Twitter, so guess I only get ONE chance…..
I’m most excited to read THE DEEP. Love fast paced page turning reads! Ooh, they all look wonderful, especially The Single Undead Mom’s Club! Thanks for the chance! I would love to win this package! I’d start with the Molly Harper one. The Deep tops the list for me! Thanks for the giveaway!! What a great way to spend a rainy weekend. I’m excited for both Swerve and Seize the Night! These books all look amazing but I’d particularly like to read The Deep because I love virus thrillers. Thank you! 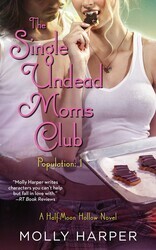 I love ALL Molly Harper, I have been waiting for Single Undead Mom’s Club for quite a while!!! 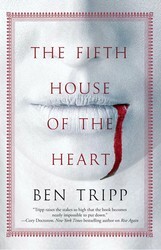 I like Molly Harper’s books, but Seize the Night and Fifth House of the Heart sound like they would be interesting, too. Fifth House of the Night looks interesting. I love Vampire lore. The cover looks creepy cool too.